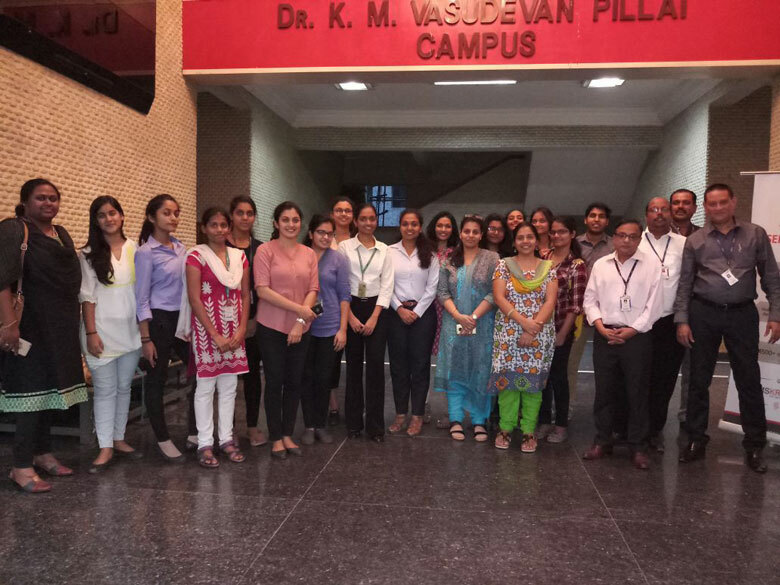 On 23rd March, 2019, PCACS’s Placement Department celebrated a day, which is part of Golden Saturdays with Alumni on account of 50 years of M.E.S. in 2020. 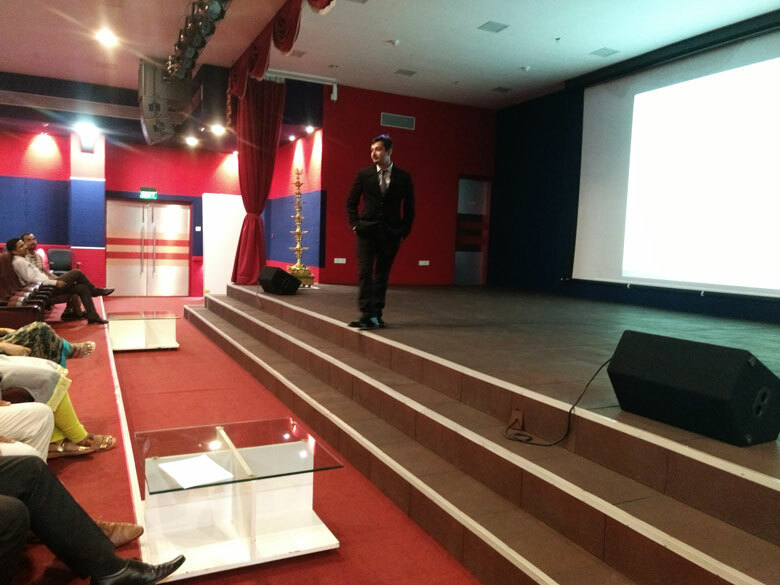 PCACS and Placement Cell hosted an event named, ‘Career Talk : Research & Placement Program’. 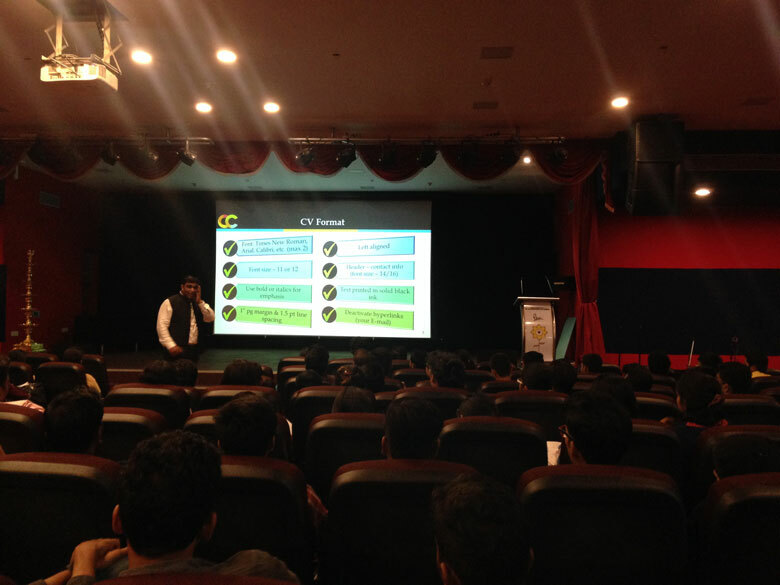 This event was conducted in the auditorium for F.Y. & S.Y. students of all streams from commerce and science departments. We invited our Alumni as the chief guests and resource speakers for this event. 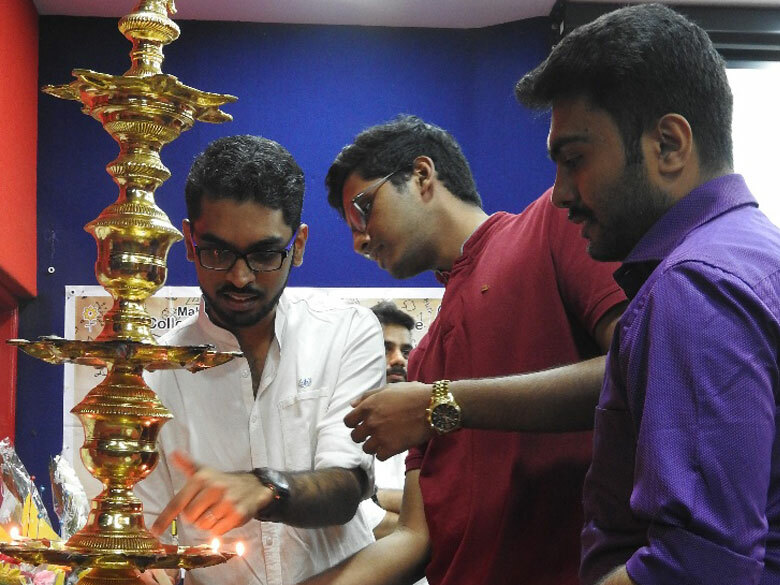 Other alumni and our guests for this event were Mr. Ruben Mathew, Mr. Samson J., Mr. Sai Prashant, Mr. Niral, Mr. Anuvind and Mr. Vishal. The objective of the event was to orient the F.Y. and S.Y. students about the placement / internship training and guidance. 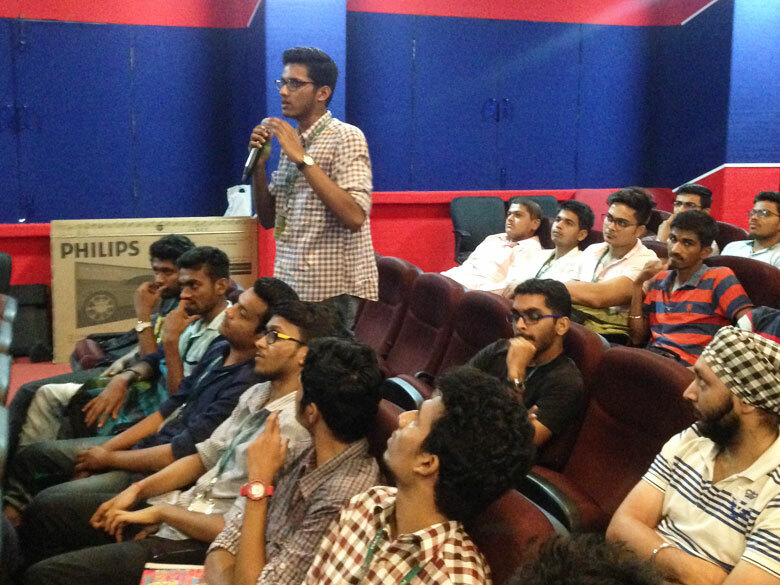 The topics covered in this event were soft skills, awareness and preparedness for career / job and communication skills. 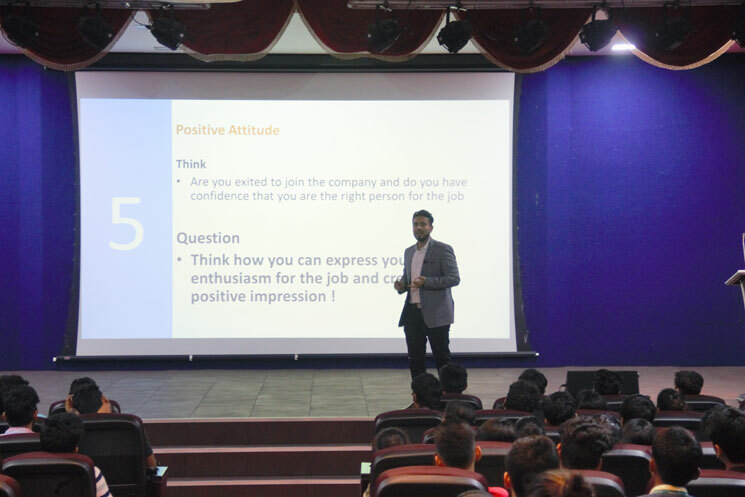 The event was very beneficial to prepare students to step in the corporate world and soar high in their respective fields. PCACS Placement Department is aptly set up, not only to get right job, but also to guide each of its student to get into the right career. 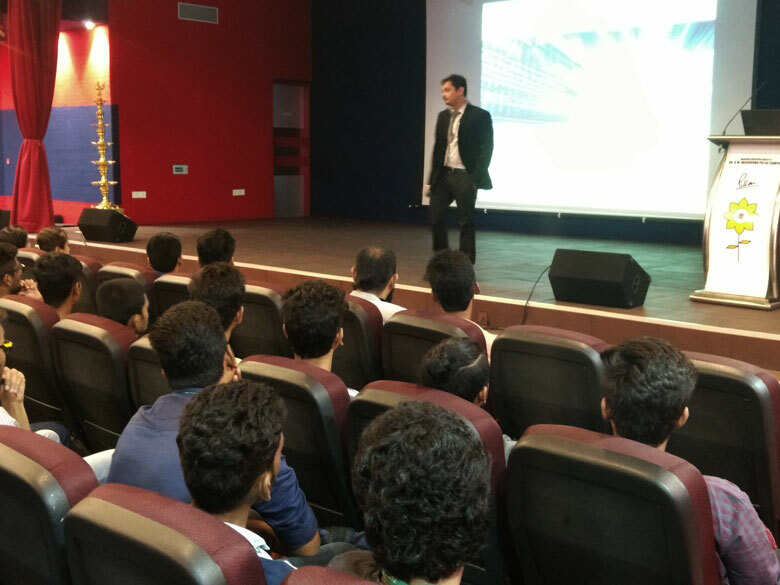 On 27th and 28th August, 2018 L&T Info Tech Campus Drive was conducted in Pillai College of Arts, Commerce and Science. 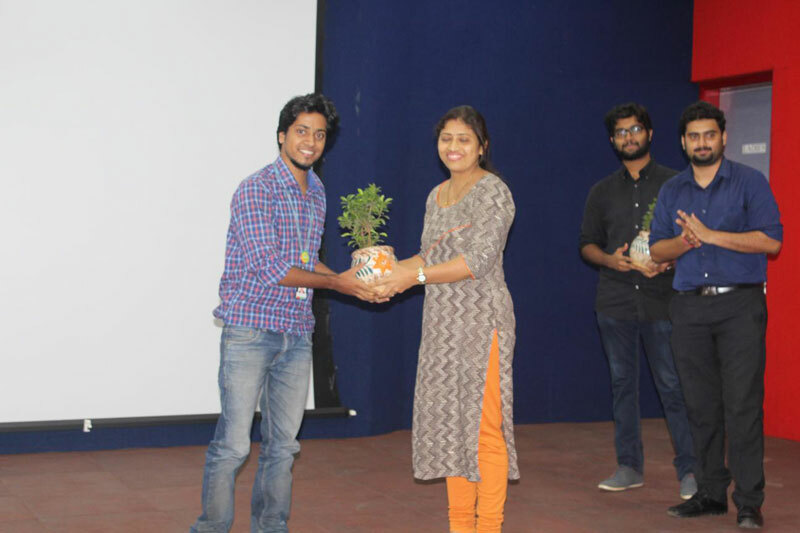 This event was organised by the Placement Cell of the College. 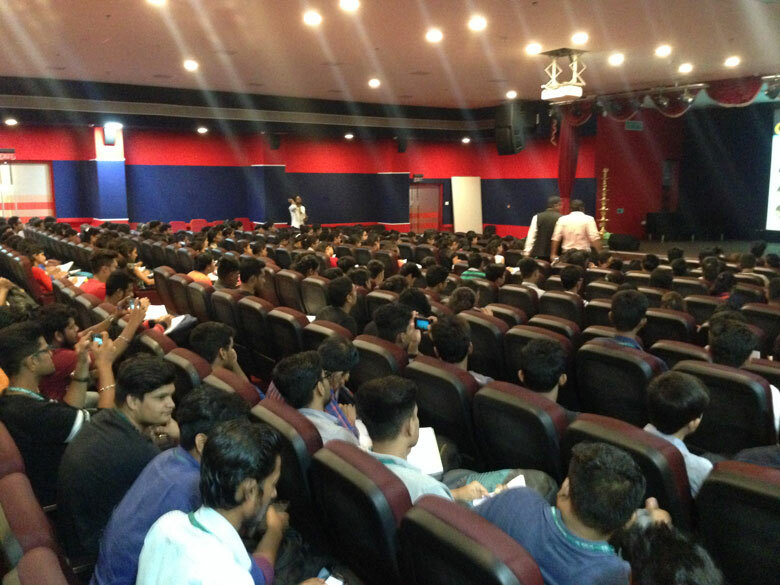 The 2 day event aimed at providing placement to the students in the L&T Info Tech Company. 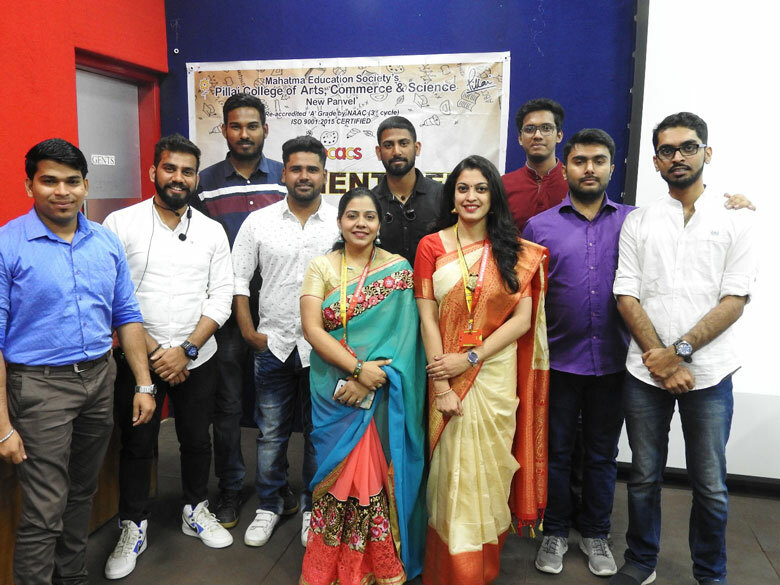 The event was attended by the students of various colleges including, Pillai’s College – Panvel, Pillai’s Rasayani, SIES College, N. G. Acharya, C. K. T. College and various others. The event wound up on a happy note with total 48 students being selected, out of which 21 were from Pillai’s itself. The Placement Cell head, Padmaja Ganti had a huge role in this. She and her team made sure that the third year students of B.Sc. I.T. and C.S., got ample amount of practice to crack the L&T interview. The Placement Cell conducted mock interviews and group discussion before hand. A Training and Placement Officers’ Meet was held on Friday, 31st August, 2018. 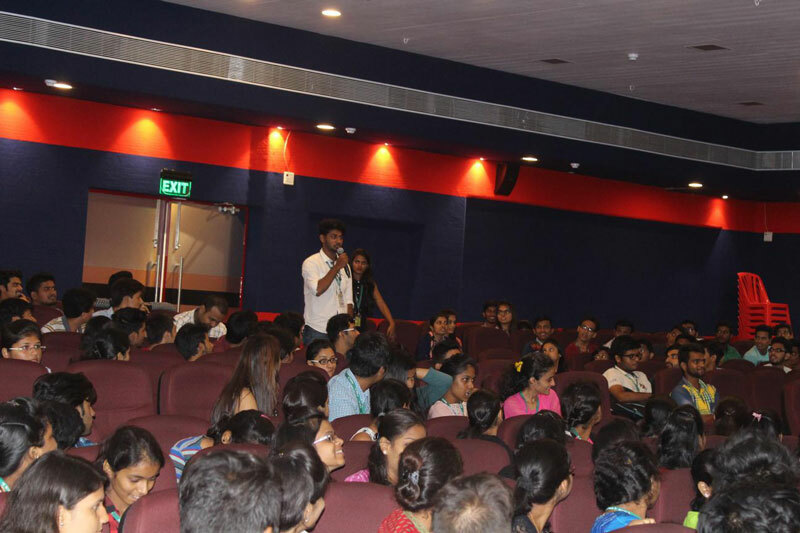 The event was conducted by IBS, Powai. 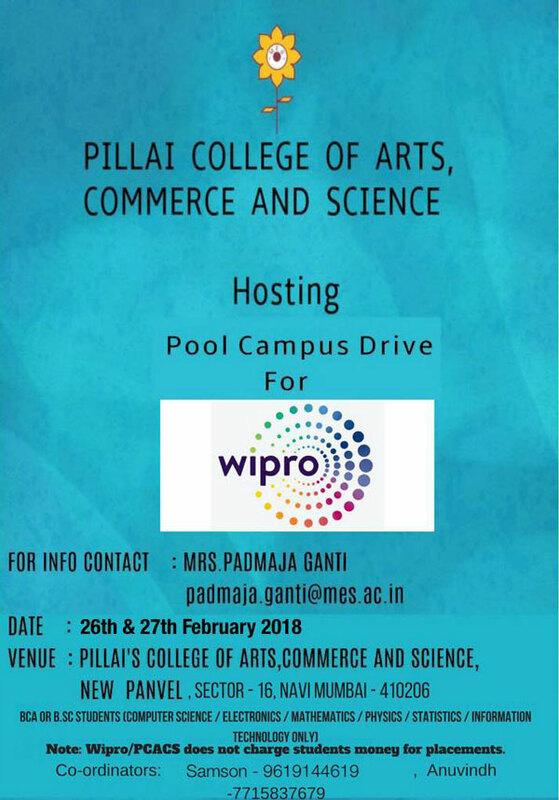 The event was attended by Pillai College of Arts, Commerce and Science, Placement Cell Head, Mrs. Padmaja Ganti and the Placement Coordinator. It was a Workshop for the officers that was held from 9 a.m. to 5:30 p.m. 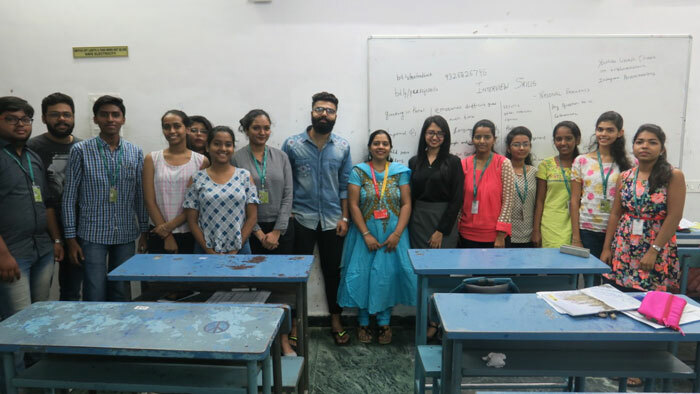 The topics covered were Skill development, student partnership, current situation and statistics, tests conducted, group discussion, soft skills, grooming sessions and communication skills. 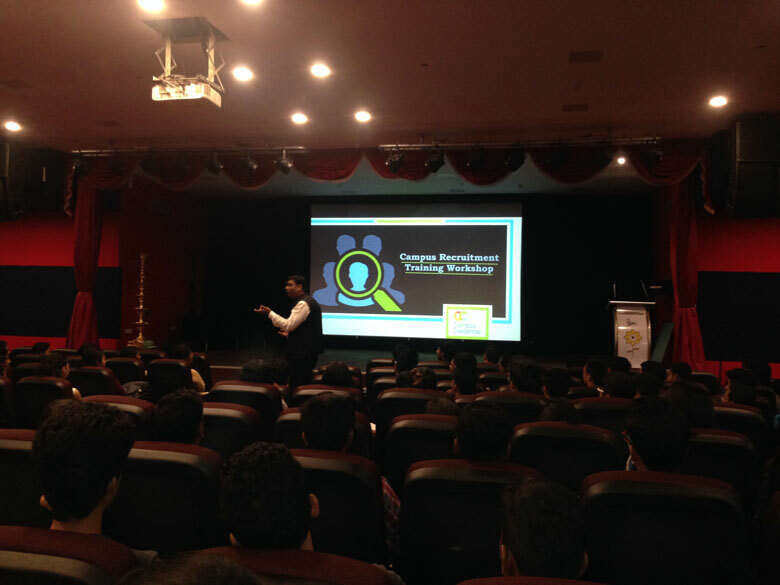 This workshop was also conducted in various regions in Navi Mumbai was found very helpful by the people who attended it. 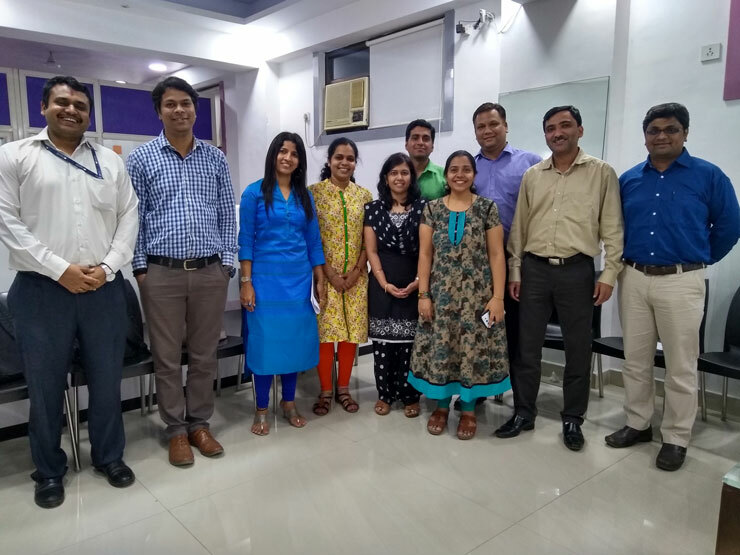 The Placement Cell conducted a Visit to Barclays office on Friday, 10th August, 2018. 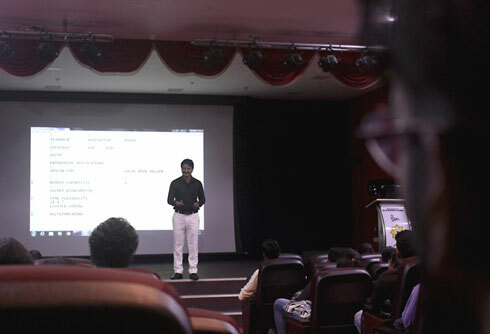 It was organised for the third year students of Information Technology and Computer Science department. The students visited the Barclays office in order to be trained for Placements. Pick up and drop facility was provided to them by the bank. Where, they reached their office by 10:00 a.m. and were back by 6:00 p.m. There were an approximate of 15 students. The main motto of the visit was to get knowledge of how to face Interviews and Group Discussions. Barclays PLC is a British multinational Investment Bank and Financial Services Company. It has its headquarters in London. 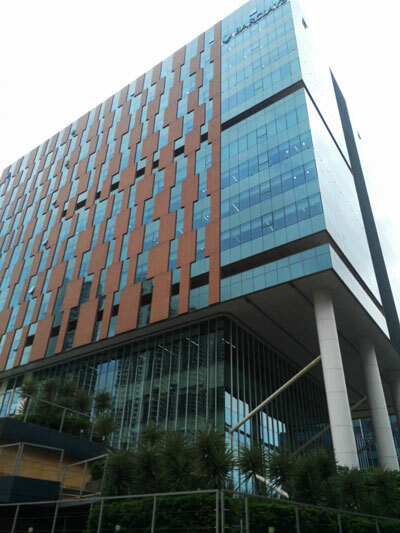 Apart from Investment Banking, Barclay has many more businesses such as Corporate Banking, Wealth Management, Personal Banking and Investment Management. 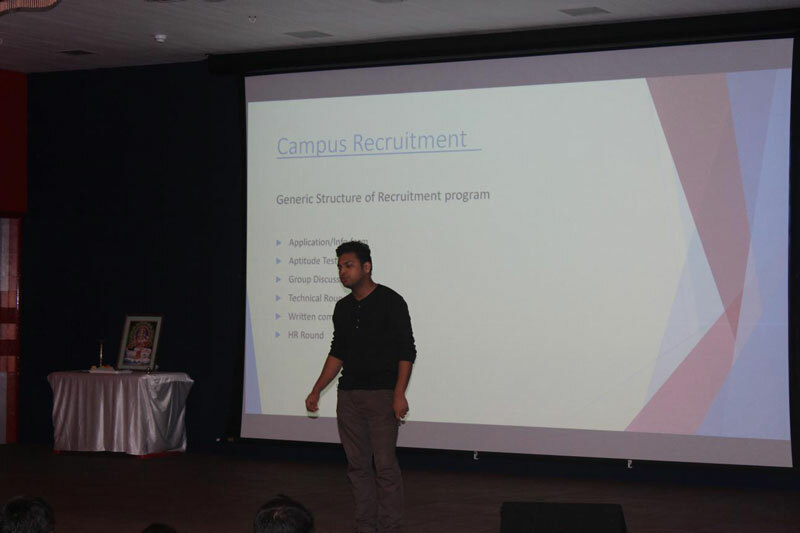 The Placement Cell of the college had organized a ‘Career Guidance Session’ for the third year students of B.Sc. I.T., B.Sc. C.S., B.Sc. Biotechnology, B.Com., B.M.S., B.Com.F.M., B.M.M. and B.Com.A&F. It was conducted in the Auditorium on 14th July, 2018, Saturday. 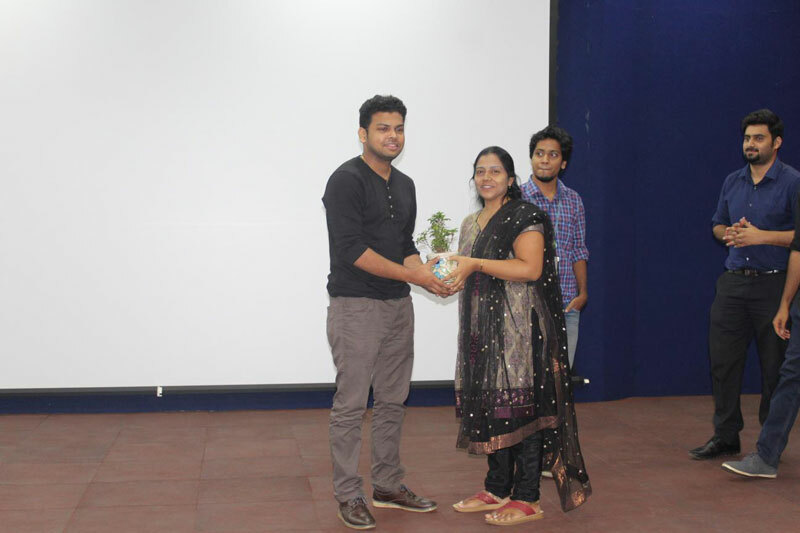 The event was inaugurated by the Head of the Placement Cell, Mrs. Padmaja Ganti. 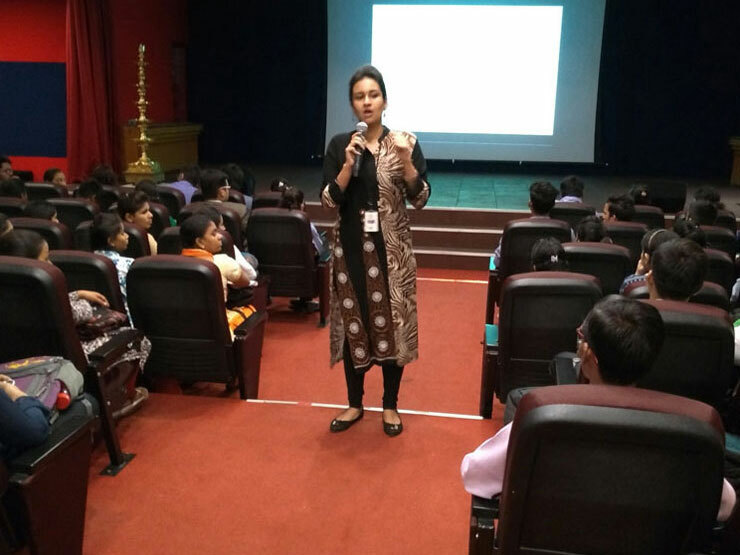 Followed by Ms. Tanvi Vadke, member of the Placement Cell, who guided the students all the rules and regulations related to placement. 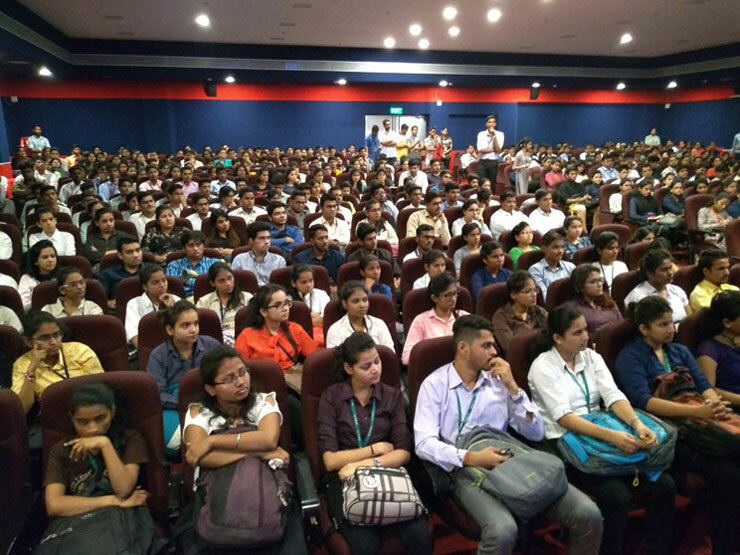 Over 400 students were part of this session. The event was bestowed by the presence of the alumni of the college, who are now well placed in renowned software companies. They guided and shared their work experience with the third year students who attended the seminar. 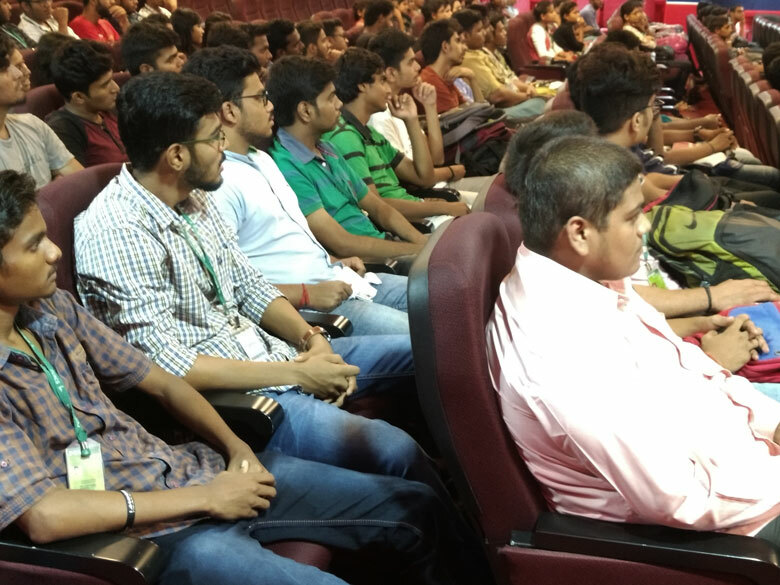 The alumni that were invited for the event were: Mr. Akshay Desai, Project Manager at Lion Bridge, Mr. Bishal Bose, Test Engineer at Infosys, Mr. Sitaram Pednekar, MS.SQL DBA at Clover Infotech, Mr. Nainarnatrajan Konar, Senior Software Engineer at Golden Source International. 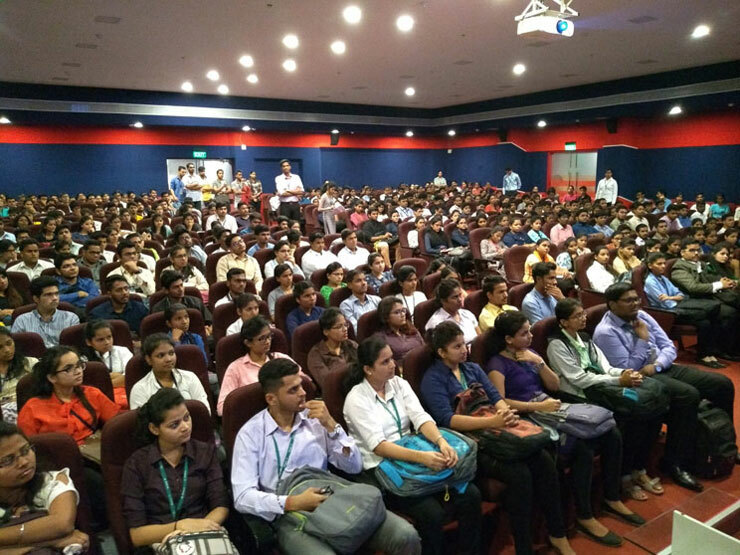 The topics that were covered in the seminar were, ‘Whether to opt for post graduation or not?’, ‘How to select desired company?’, ‘How to select the correct career path?’, ‘How to face the campus interview?’, ‘The different categories of job opportunities in the IT industry’ and ‘Do’s and don’ts for a technical interview’. The seminar will be helpful for the students to make a career decision, also in their further studies and job opportunities in the future. 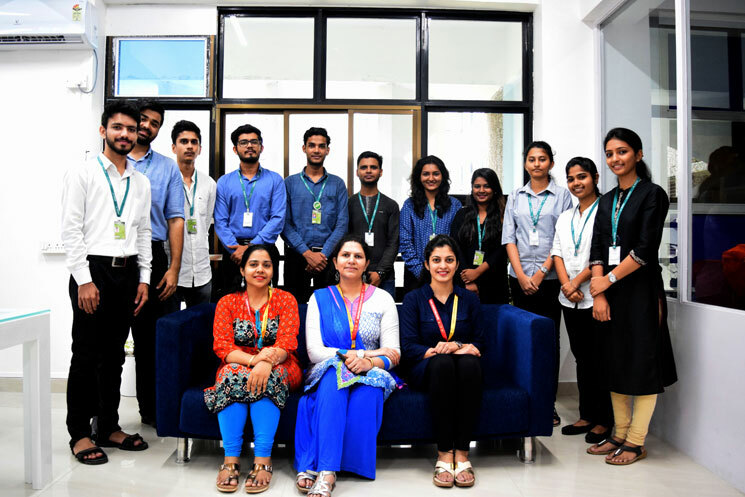 On 4th July 2018, the Placement Cell hosted a Seminar Session named, ‘Barclay’s – Brandkeeda Placement Training Program’. 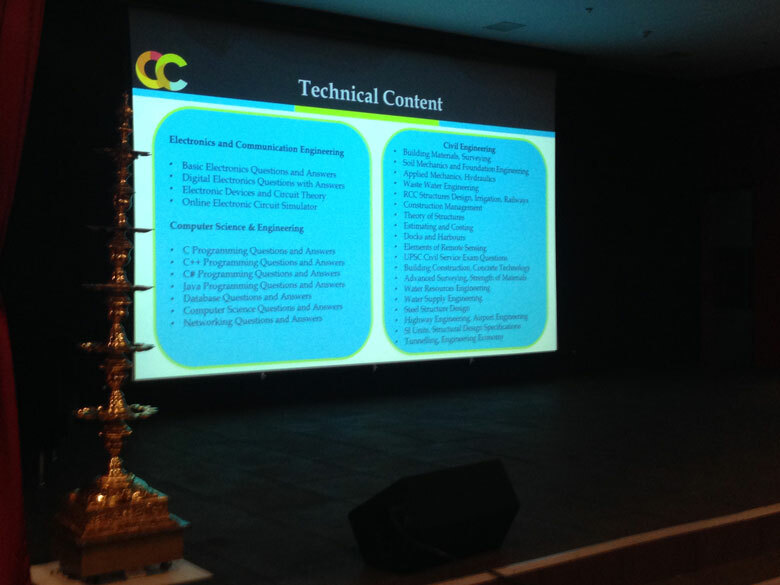 It was conducted in the auditorium for Third Year students of the following departments; B.Sc.I.T., B.Sc.C.S., B.Sc. Biotechnology, B.Com., B.M.S., B.M.M. and B.Com.A&F. 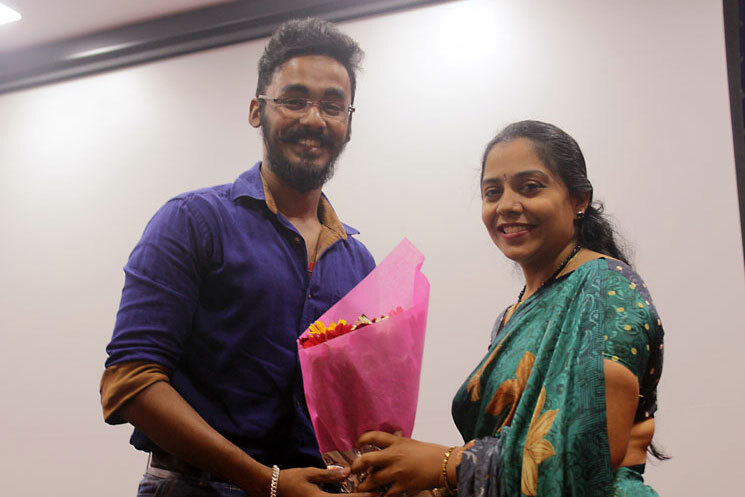 The resource speakers were Mr. Jeffin Ani John, the CEO of Brandkeeda and Ms. Aparna Mallick, a Trainer at Barclay’s. The objective of the event was to orient the T.Y. students about the placement training and guidance. 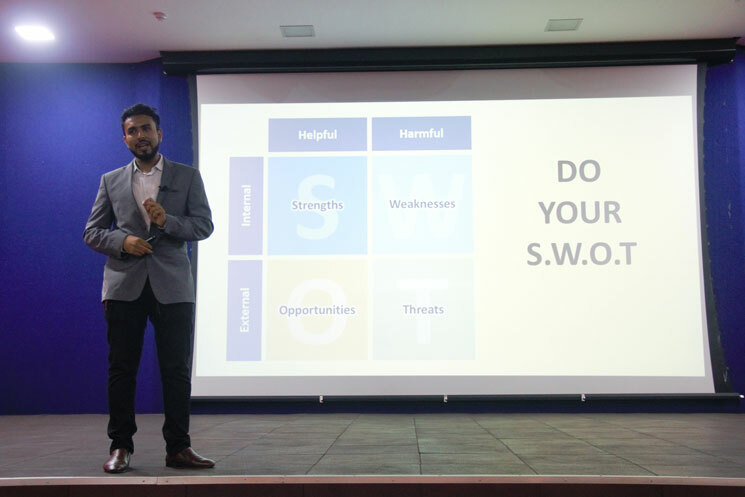 The topics covered in this event were soft skills, grooming session and communication skills. 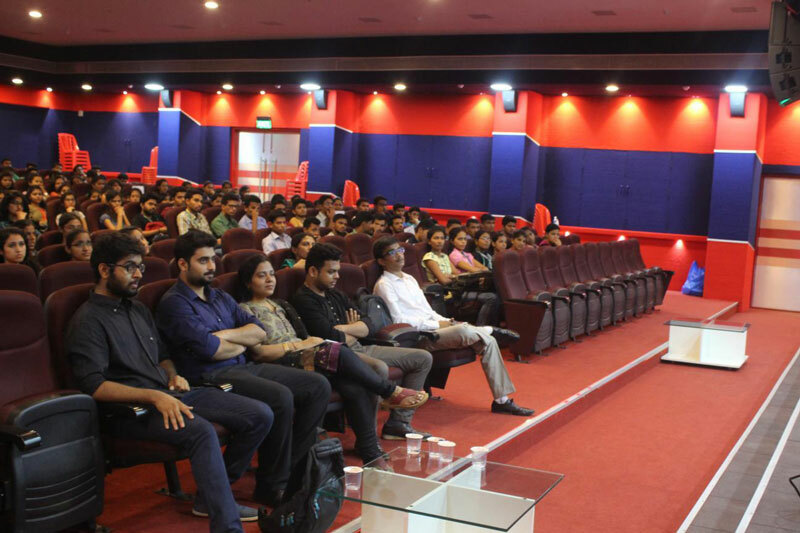 The event was very beneficial to prepare students to step in the corporate world and soar high in their respective fields. 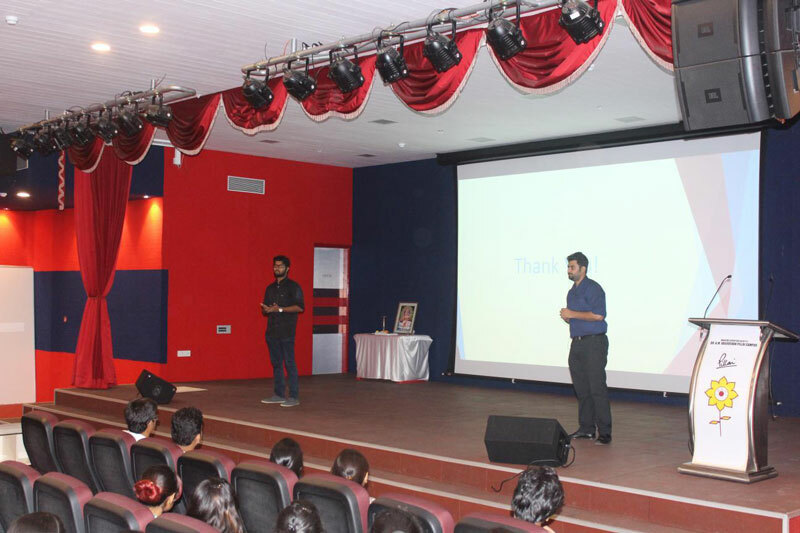 The Placement Cell of Pillai College of Arts, Commerce and Science organized a Seminar Session named ‘JAVA Training Program’ for the third year students of B.Sc. I.T. and B.Sc. C.S. 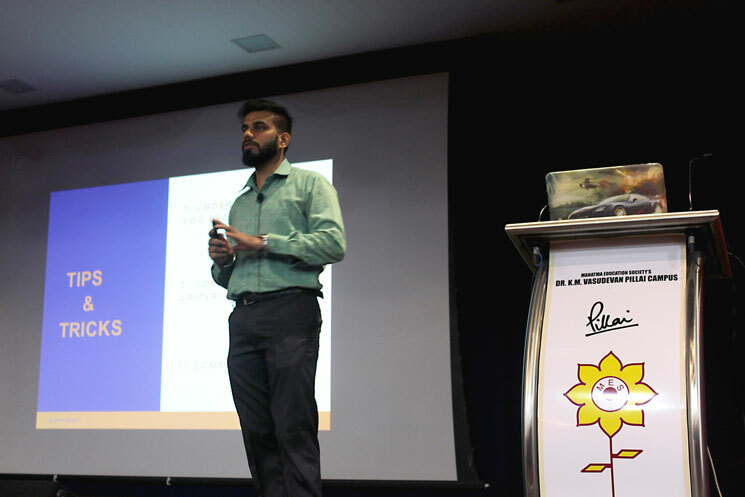 It was held on 14th July 2018, Saturday in the 7th-floor auditorium. 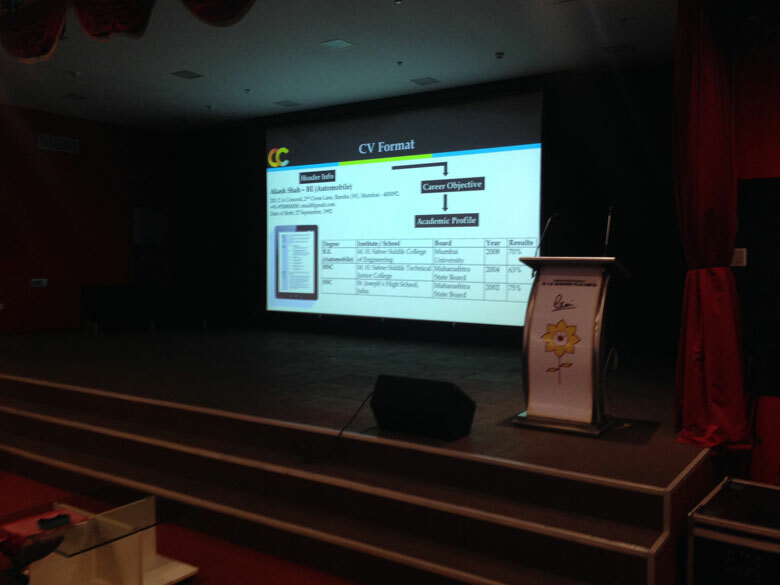 The topic covered in the seminar was ‘JAVA Programming’. 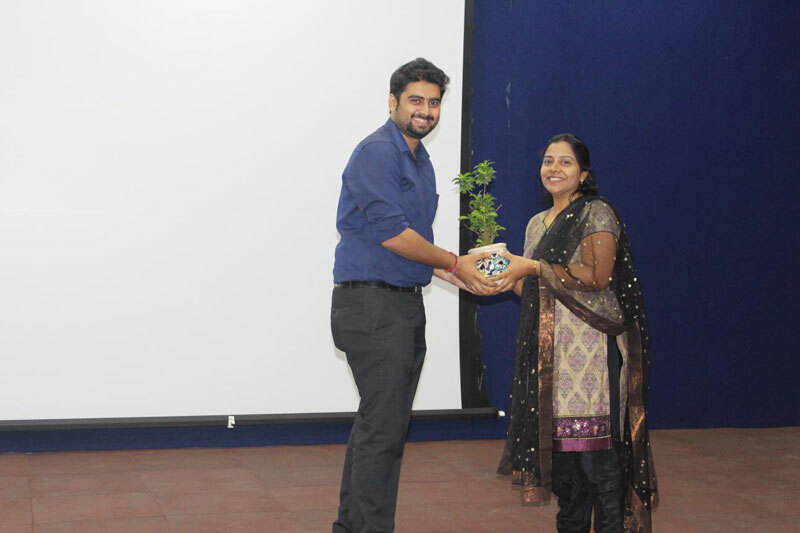 The resource person was Mr. Vishal Dawane, who is a trainer at L&T Infotech. The third-year students were enlightened on the topic JAVA Programming and its uses and benefits. It was an interactive session which will help the students who wish to achieve a career in programming and the IT sector. 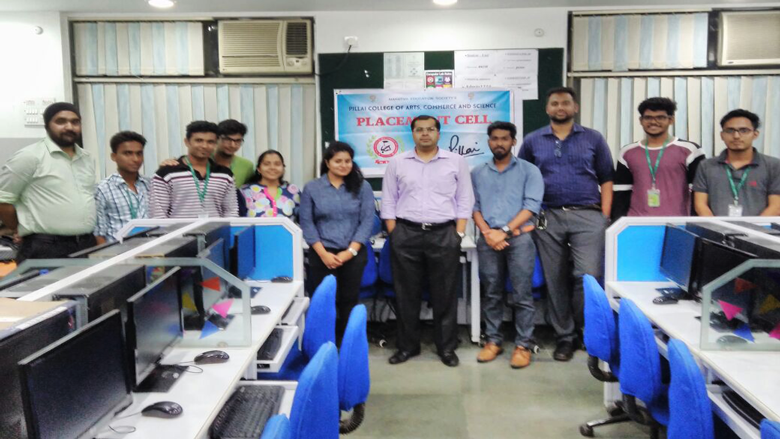 Placement Cell organized a Seminar Session for T.Y. [B.Sc.I.T., B.Sc.C.S., B.Sc. Biotech, B.Com, B.M.S., B.Com.F.M., B.M.M. and B.Com.A/F] students on 5th July, 2018 (Thursday) in 7th floor Auditorium. Purpose of the Event: Placement Training and guidance for all Third year Commerce and Science students. 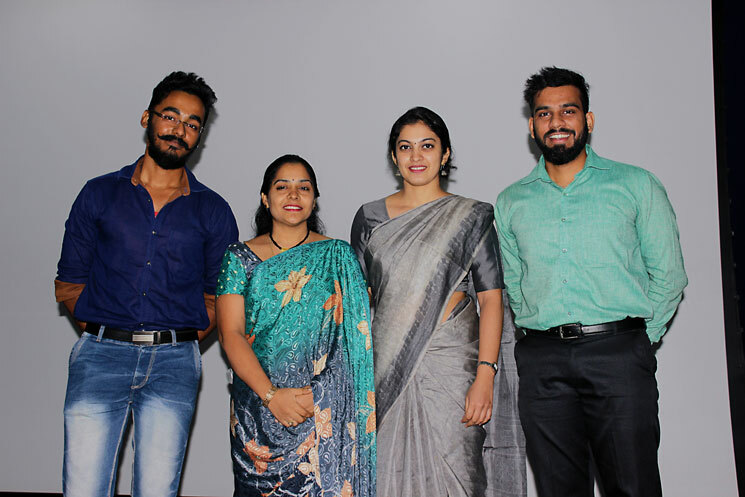 Our Placement officer, Mrs. Padmaja A. with her team and H.O.D. (I.T. & C.S. ), Mrs. Deepika Sharma, attended “Sutherland Academia Conclave” on 22nd February, 2018 at Taj Mahal Palace, Apollo Bunder. The conclave was the initiative taken by Sutherland to begin a collaborative efforts of the industry and the academia to enhance the employ ability of the students in the extremely challenging corporate world. 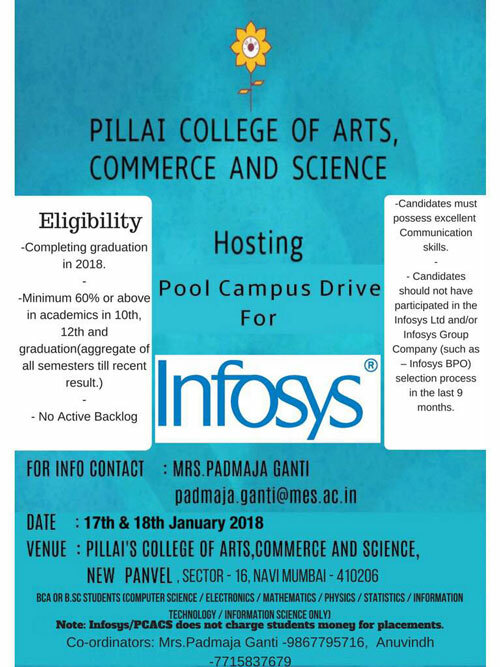 Placement department is organizing INFOSYS Pool Campus Placement Drive for Third year I.T. and C.S. students on 17th and 18th January, 2018. Workshop for B.M.M. Journalism students by National Union of Journalist, Maharashtra. First Ever National Workshop for Women Journalist on 29th and 30th July, 2017 at 11 a.m.
Venue: Balwantrao Phadke Natyagruh, New panvel. GTT would be initiating the Barclays NASSCOM Foundation Youth Employability Program date 24th to 26th July, 2017 at Pillai College Panvel, time 12.00 to 5.00 p.m.
3 Hours Soft-skill Workshop from 2 to 5 PM by GTT Trainer and Barclays person going to conduct for top 100 students on 24th July, 2017 at Pillai College Panvel. Placement Cell organized a one day Workshop for T.Y students of all streams in 7th floor Auditorium on 10th June, 2017. 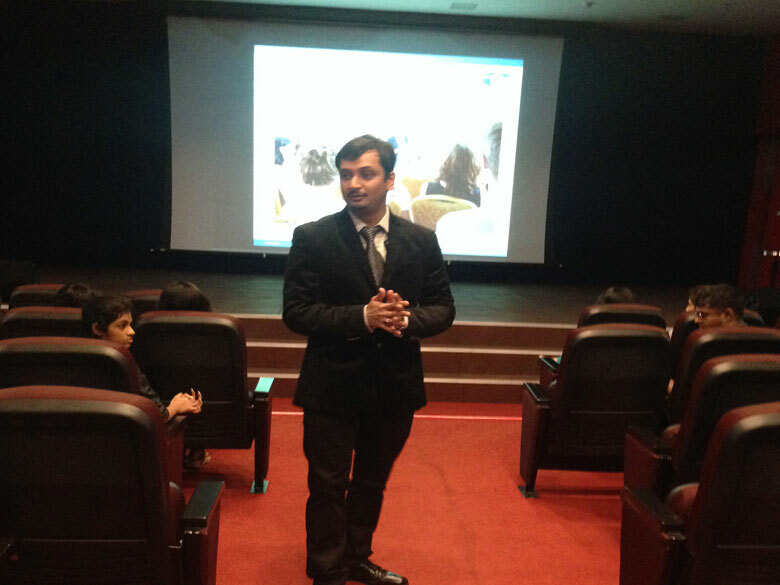 It was very nice and students got many inputs about the corporate culture and about the companies. Students thoroughly enjoyed the session. On 17th June, 2017 a Career Counseling Seminar for T.Y. B.Sc.I.T. and T.Y. B.Sc.I.T. C.S. was conducted. 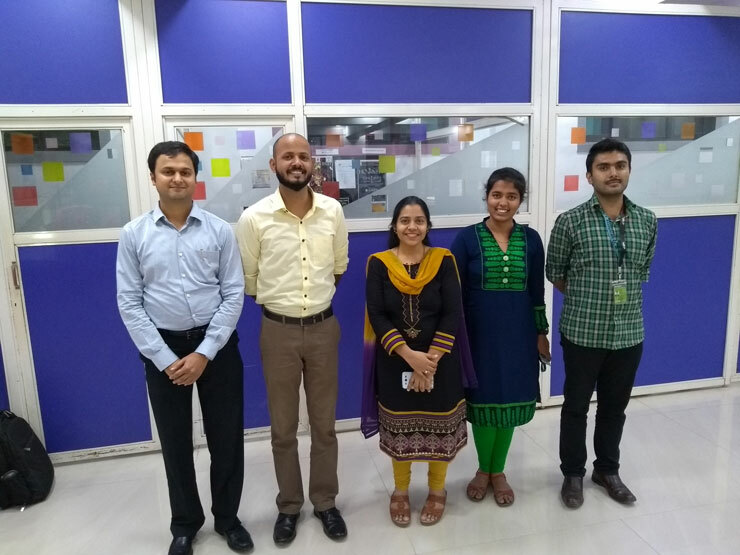 Our Alumni, Ms. Madhushree Patil, Software Engineer, TCS ; Mr. Ravindra Malpute, Jr. Software Engineer, Zensar Technologies; Mr. Omkar Ghag, Sr. Digital Analyst, eClerx Services Ltd.; Mr. Ketan, Software Engineer, JP Morgan; Mr. Niral Panchal, SOC Analyst, Zensar Technologies, Bishal Bose; Hemant V. Balani. 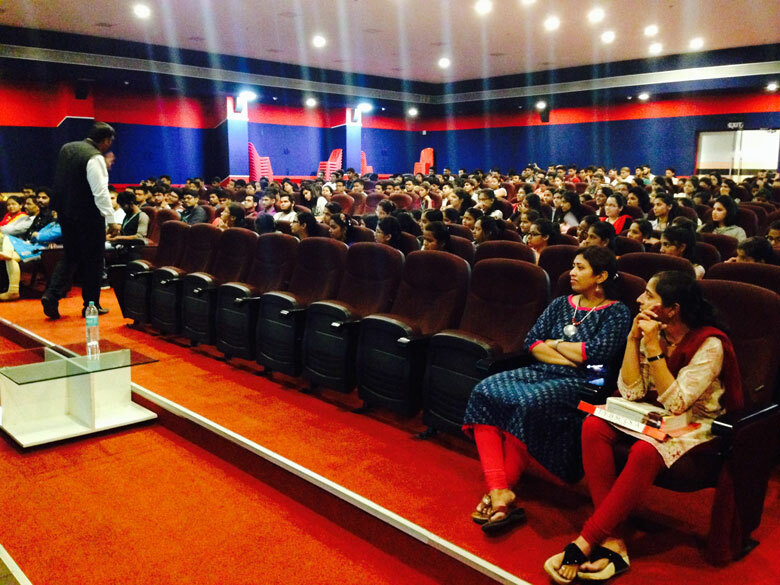 Placement Cell conducted Career Guidance Session for T.Y. B.Sc. (I.T.) and T.Y.B.Sc. (C.S.) 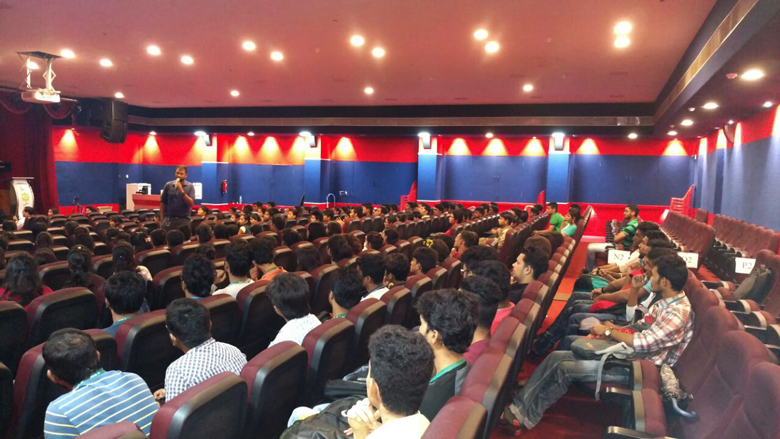 students on 18th June, 2016 in the auditorium (7th Floor, Dr. K. M. Vasudevan Pillai Campus, New Panvel). 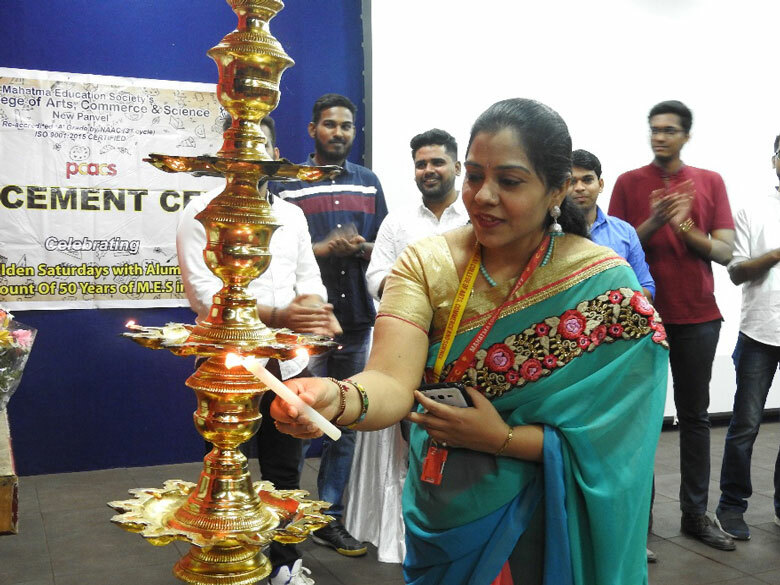 Head of the Placement Cell Mrs. Padmaja Ganti inaugurated the event. 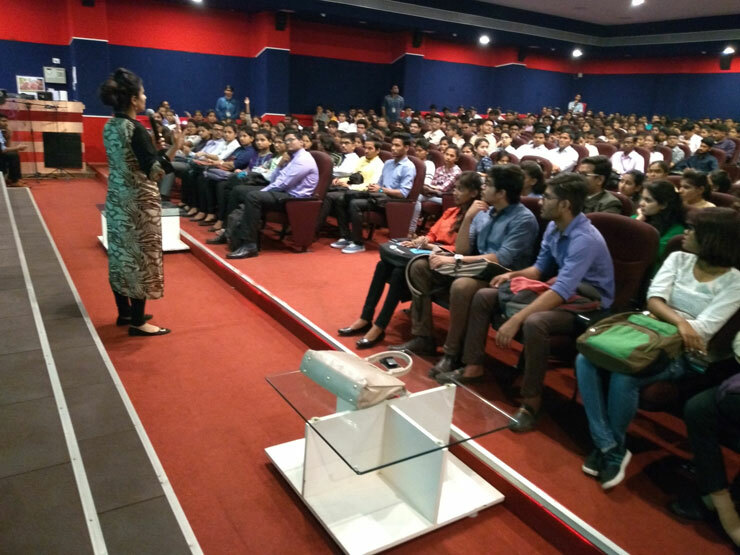 Mrs. Shubhangi Pawar, a member of the Placement Cell members informed, all the rules and regulations related to placement, to the students. 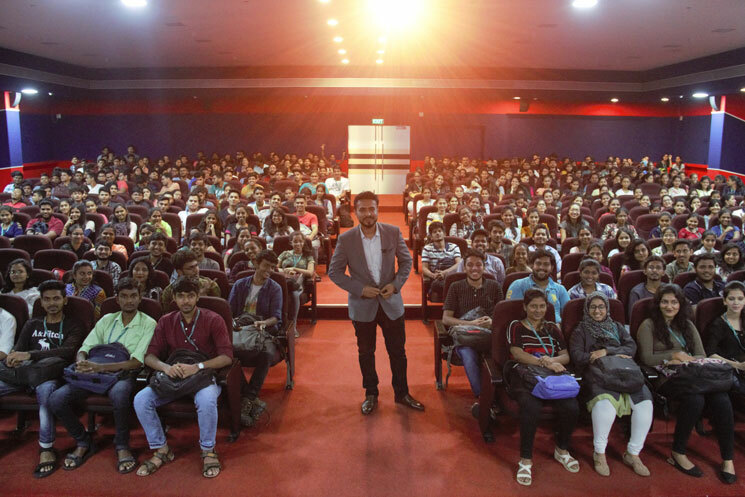 The session was attended by 300 students. Showstoppers of the event were some of our Alumni, who are well placed in renown software companies. They guided and shared their work experience with our T.Y. students. Mr. Nilesh Gupta, Human Resource Manager, Wipro Pvt. Ltd.
Mr. Aditya Kaushik, Technical Support, Wipro Pvt. Ltd. Whether to go for post-graduation or not? How to select desired company? 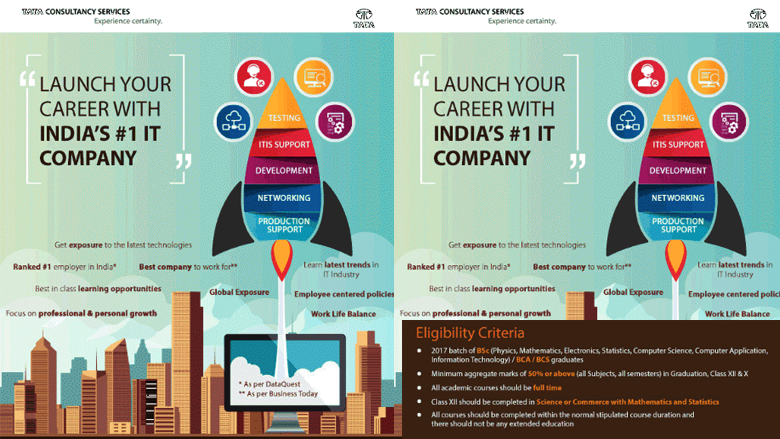 Different categories of job opportunities in IT industry. How to select the correct Career path? 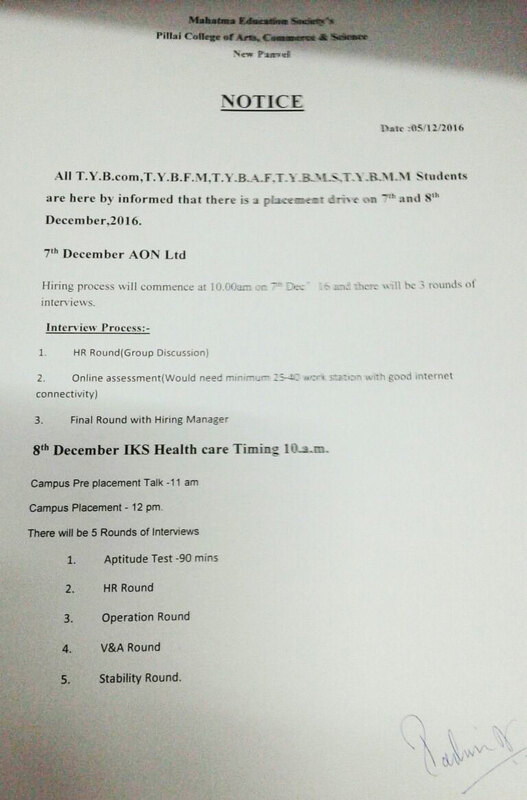 How to face campus interview? Dos and don’ts for technical interview. Scope of I.T. and C.S. syllabus in industry. Languages which are currently in boom. Certification courses and their use. The list of students selected for INFOSYS Ltd. Placement Drive held on 15th and 16th January, 2019. Nikita Deepak Katke T.Y. B.Sc.I.T. Poonam Namdeo Kamble T.Y. B.Sc.I.T. Neha Sharad Gade T.Y. B.Sc.I.T. Deepak Sudishtnarayan Jha T.Y. B.Sc.I.T. Sonal Yuvraj Jadhav T.Y. B.Sc.I.T. Pradnya Dnyandeo Tupe T.Y. B.Sc.I.T. Roshan Singh T.Y. B.Sc.I.T. Tejasvi Gangaram Sawant T.Y. B.Sc.I.T. Rishikesh Vijay Gajelli T.Y. B.Sc.I.T. Gaurav Balkrishna Pawar T.Y. B.Sc.I.T. Sadiq M. Alam Shaikh T.Y. B.Sc.I.T. Esha Ojha T.Y. B.Sc.I.T. Rajashree Bhanudas Patil T.Y. B.Sc.I.T. Anjali Abhay Sawant T.Y. B.Sc.I.T. Pooja V. Dandale T.Y. B.Sc.I.T. Ajinkya Rajendra Sahane T.Y. B.Sc.I.T. Abhishek Suresh Nair T.Y. B.Sc.I.T. Priyanka Mahadeo Pawar T.Y. B.Sc.I.T. Swapnil Sanjay Patil T.Y. B.Sc.I.T. Anandi Vivek Narvekar T.Y. B.Sc.I.T. Pranay Nandkumar Patil T.Y. B.Sc.I.T. Sharyu Mukund Bagal T.Y. B.Sc.I.T. Shubham Zankbahadur Bogati T.Y. B.Sc.I.T. Seema Ashok Wagh T.Y. B.Sc.I.T. Harshita Mahipal Jain T.Y. B.Sc.I.T. Saurabh Pratap Bagal T.Y. B.Sc.I.T. Vishnu Sasidharan Pillai T.Y. B.Sc.I.T. Rahul Pramod Bharadwaj T.Y. B.Sc.I.T. Pankaj Vishnu Prabhu T.Y. B.Sc.I.T. Rahul Rajesh Mane T.Y. B.Sc.I.T. Milind Ravindra Vaidya T.Y. B.Sc.I.T. Bharath Vikraman Nair T.Y. B.Sc.I.T. Chandrika Choudhary T.Y. B.Sc.I.T. Sonalika Rai T.Y. B.Sc.I.T. Shrutika Dnyaneshwar Shelke T.Y. B.Sc.I.T. Joyce Bonison Kuppekar T.Y. B.Sc.I.T. Rakshita Narayan Naik T.Y. B.Sc.I.T. Shubhangi Prakash Lore T.Y. B.Sc.I.T. Ankita Ankush Thorat T.Y. B.Sc.I.T. Aditi Prakash Pingale T.Y. B.Sc.I.T. Shradha Surendra Mishra T.Y. B.Sc.I.T. Lekha Vishwanath Sawant T.Y. B.Sc.I.T. Sadaf Zia Ahmed T.Y. B.Sc.I.T. Prachi Somnath Sharma T.Y. B.Sc.I.T. Sayali Shivaji Ranjane T.Y. B.Sc.I.T. Himani Narendra Koli T.Y. B.Sc.I.T. Sophia Shabbir Khan T.Y. B.Sc.I.T. 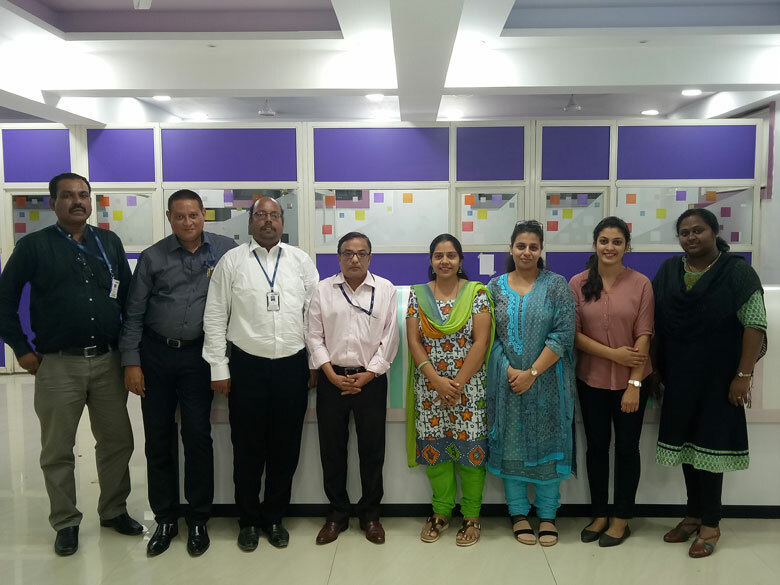 The list of students selected for CAPGEMINI TECHNOLOGIES Placement Drive held on 3rd and 4th February, 2019. Sophia Shabbir Khan T.Y. B.Sc.I.T. Jha Deepak Sudishtnarayan T.Y. B.Sc.I.T. Aishwarya Nagvekar T.Y. B.Sc.I.T. Nikita Deepak Katke T.Y. B.Sc.I.T. Seema Ashok Wagh T.Y. B.Sc.I.T. Vishnu Sasidharan Pillai T.Y. B.Sc.I.T. Simran Pradeep Dubey T.Y. B.Sc.I.T. Ajinkya Rajendra Sahane T.Y. B.Sc.I.T. Priyanka Mahadeo Pawar T.Y. B.Sc.I.T. Aditi Prakash Pingale T.Y. B.Sc.C.S. Sharyu Mukund Bagal T.Y. B.Sc.I.T. Gagan Narayan Dangre T.Y. B.Sc.C.S. Prashob Padmanabhan T.Y. B.Sc.I.T. Vaibhav Dnyaneshwar Pawar T.Y. B.Sc.I.T. Ashutosh Pandey T.Y. B.Sc.I.T. Manisha Kumari Umesh Sharma T.Y. B.Sc.C.S. Tony Mathew Sunny T.Y. B.Sc.I.T. Neha Sharad Gade T.Y. B.Sc.I.T. Roshan Singh T.Y. B.Sc.I.T. Ruchi Mishra T.Y. B.Sc.C.S. Nair Ayush Arunkumar T.Y. B.Sc.I.T. Vaishnavi Harikumar Nair T.Y. B.Sc.I.T. Esha Ojha T.Y. B.Sc.I.T. Aayush Tiwari T.Y. B.Sc.I.T. Nikhil Digambar Kharat T.Y. B.Sc.I.T. The list of students selected for IKS HEALTH CARE Placement Drive held on 17th January, 2019. Sneha Parthe B.Sc.Bio.Tech. Prakriti Tiwari T.Y. B.Com.F.M. Sakshi Lanjewar B.Sc.Bio.Tech. Pallavi Phalke T.Y. B.M.S. Anjali Nair B.Sc.Bio.Tech. Rani Bohra T.Y. B.Com.F.M. Kiran Patil M.Sc.Bio.Tech. Akansha Sagar T.Y. B.Com.F.M. 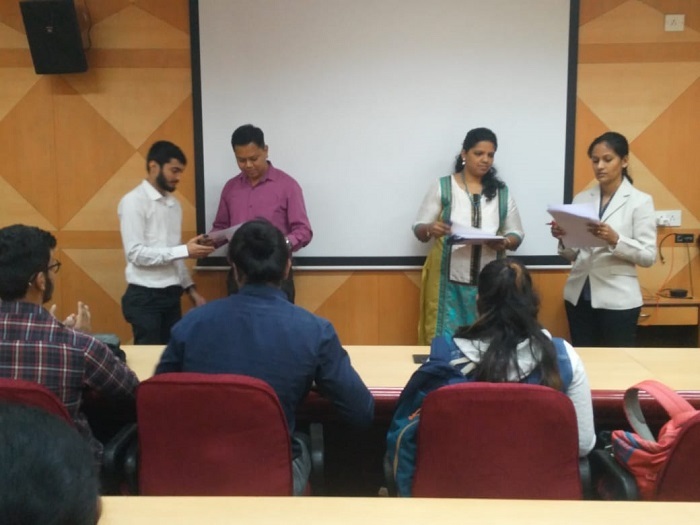 The list of students selected for GEP Placement Drive held on 9th March, 2019. The list of students selected for WILLIS TOWER WATSON Placement Drive held on 28th January, 2019. Computer Age Management Services [CAMS] placement drive held on 17th December, 2018. Manali Ashok Jain T.Y. B.Com.A.F. Smita Ramesh Autade T.Y. B.Com. Dinesh Patel T.Y. B.Com.A.F. Shubham Rajendra Shah T.Y. B.Com. Raksha Mishra T.Y. B.Com.A.F. Raunak Prabhakar T.Y. B.M.S. Antara Pal T.Y. B.Com.A.F. Aarzoo Imtiyaz Baangi T.Y. B.Com.A.F. Arjun Nair T.Y. B.Com.A.F. Rosemin Imtiyaz Khan T.Y. B.Com.A.F. The list of students selected for ICICI Bank Placement Drive held on 20th December, 2018. Sonali Chakraborty T.Y. B.Com. Saumil Kaushik T.Y. B.M.S. Mukul Kumar T.Y. B.Com. Mariyum Ansari T.Y. B.Com.A.F. Anurag Meena T.Y. B.Com. Harjeet Kaur Gupta T.Y. B.Com. Snehal Navrange T.Y. B.Com. Shalaka Pathak T.Y. B.Com.F.M. Pradeep Prabhu T.Y. B.M.S. Dinesh Patel T.Y. B.Com.A.F. Jitho Monachan T.Y. B.Com.A.F. Samruddhi Janokar T.Y. B.Com. The list of students selected for ICICI Prudential Placement Drive held on 11th January, 2019. 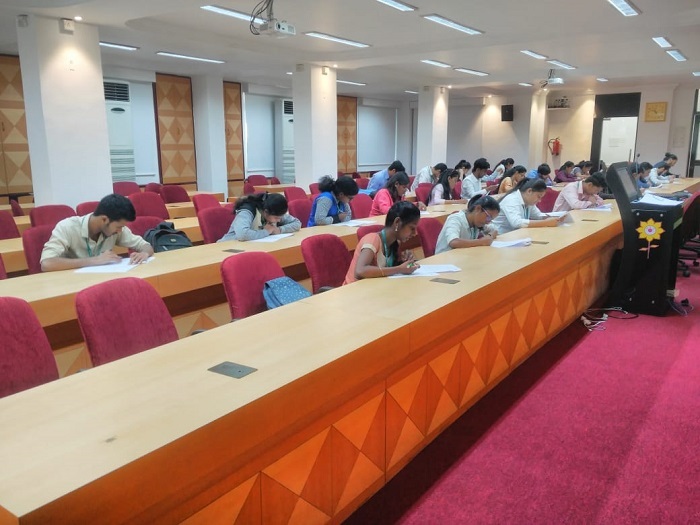 L&T InfoTech Pool Campus Drive held on 27th and 28th August, 2018. 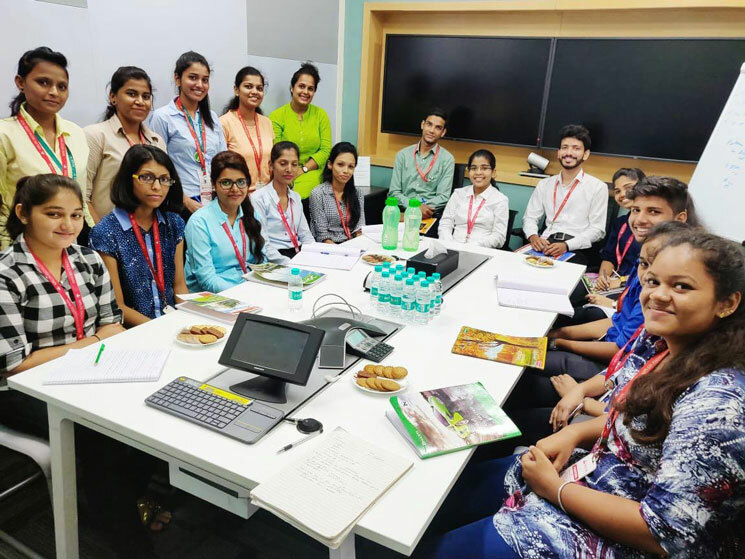 Wipro Placement Drive for 2019 Batch was held on 28th September, 2018. Selected students - 12. Deepak Jha T.Y. B.Sc.I.T. Swapnil Patil T.Y. B.Sc.I.T. Sadiq Shaikh T.Y. B.Sc.I.T. Sharyu Bagal T.Y. B.Sc.I.T. Sayali Ranjane T.Y. B.Sc.I.T. Ashutosh Pandey T.Y. B.Sc.I.T. Rakshita Naik T.Y. B.Sc.I.T. Sadaf Ahmed T.Y. B.Sc.I.T. Prajakta Gawande T.Y. B.Sc.I.T. Milind Vaidya T.Y. B.Sc.C.S. Pankaj Prabhu T.Y. B.Sc.I.T. Danish Sayed T.Y. B.Sc.C.S. CONGRATULATIONS to our students who got selected in placement Sutherland drive held on 25th January, 2018. Rishi Tiwari T.Y.BAF Shruti Varude T.Y.B.M.S. Saurabh Rai T.Y.BAF Christina Varghese T.Y.B.M.S. Smruthy Sudarshan T.Y.BAF Amritpal Singh T.Y.B.M.S. 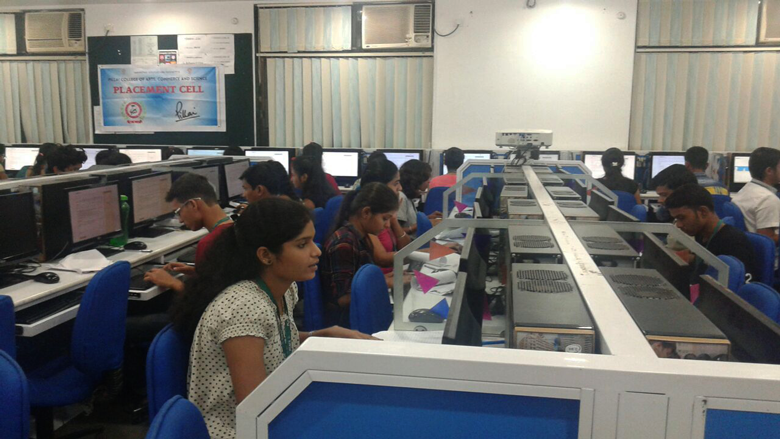 25 PCACS students got recruited in "Computer Age Management Services Pvt. 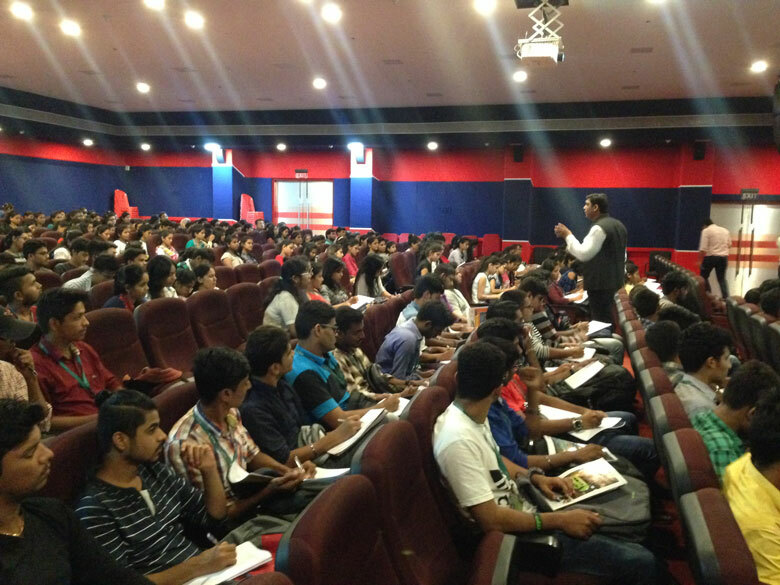 Ltd., Belapur" through campus interview. Sharel D'souza B.Com. Cherukupalli Lalita Prasad B.A. Surbhi Chalise B.Com. Rajshree Shukla B.Com.F.M. Lavina Mauian Nair B.Com. Dipali Dipak Tele B.M.S. Niharika Pawar B.A. Riyah Nadeem Khan B.Com. Akanksha Ajit Sawant B.M.S. Neha U Mishra B.M.S. Ronak Bhanushali B.Com. D Laxmi Sravya B.A. Betsy Basil B.M.S. Ayesh MD Zubair Shaikh B.A. Anjali Singh B.A. Reema Gidwani B.Com. Khushboo Atul Shab B.A. Sayli Balwant shirke B.A. Smruthi Nair B.A. 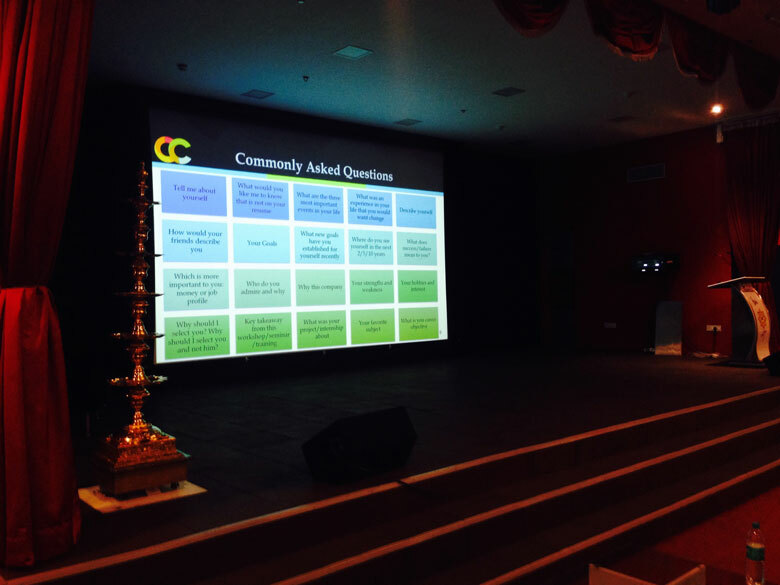 Aparna Sarovaram B.Com. Susmita Chandrakant Chavan B.Com. Shehrebanu Bharmal B.Com. 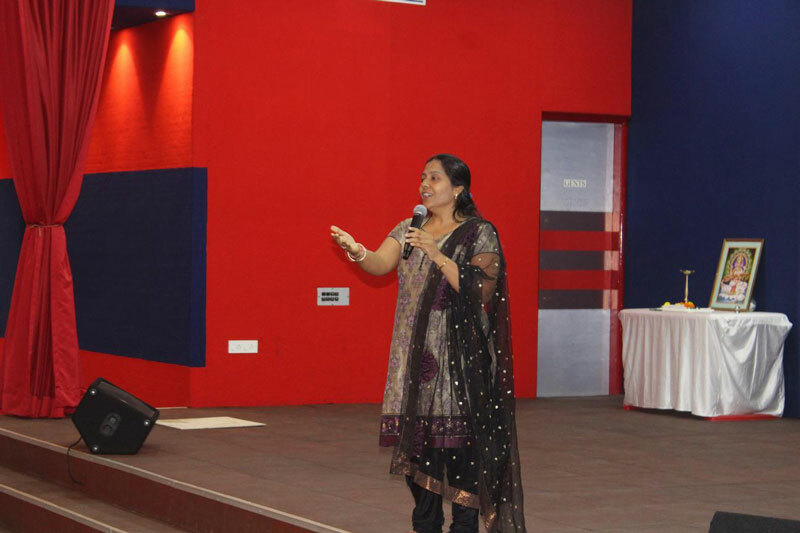 Kavita Susarla B.M.S. Sneha Ayyagari B.M.S. 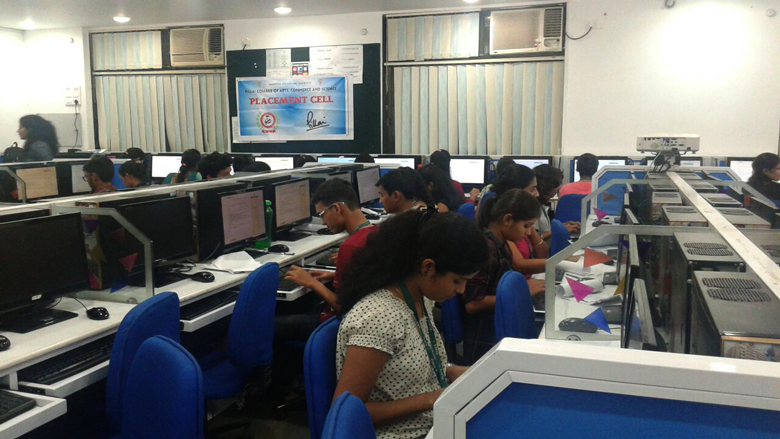 HERE Navi Mumbai recruited 71 PCACS students for the role of "GIS Analyst I". We are glad to share that 27 students Of T.Y.B.Sc. (I.T.) and T.Y.B.Sc. (C.S) got selected in CAPGEMINI through the campus drive conducted on 22nd August, 2016. PCACS has been in the forefront of activities bringing both corporate and companies close to the campus and encouraging them to establish facilities to cater to the needs of both students and faculty. The Training and Placement Cell in the institute plays a pivotal role in counseling and guiding the students for their successful career placement which is a crucial interface between the stages of completion of academic program of the students and their entry into suitable employment. The Training and Placement cell enhances the employability of the student by conducting specialized training in mathematical ability, aptitude skills, analytical skills, language skills, technical skills in addition to, on line placement mock tests. The recruitment training is conducted by professionals from in house resources as well as professional trainers from the corporate world. The training sessions are scheduled during the semester breaks in addition to crash courses during the start of campus placement season. 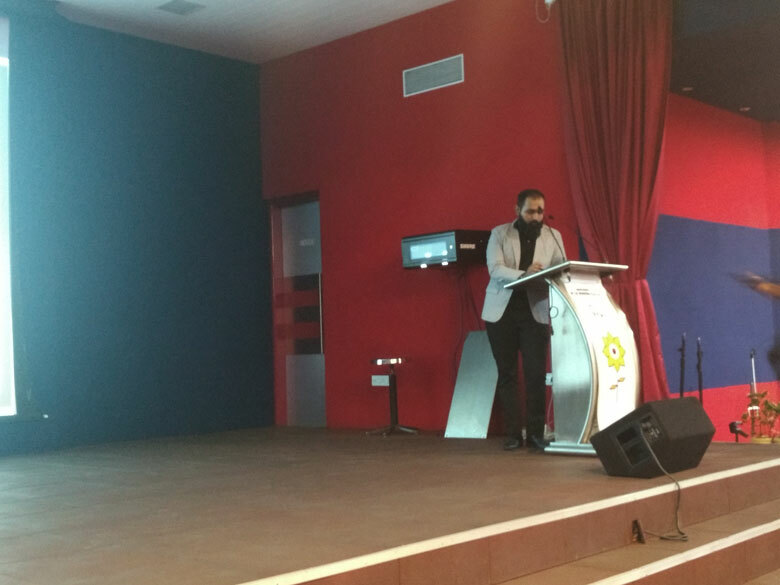 The Placement and Training Centre is supported with infrastructure such as 300 seat seminar hall with modern electronic teaching aids like LCD projector, internet service, computer support. 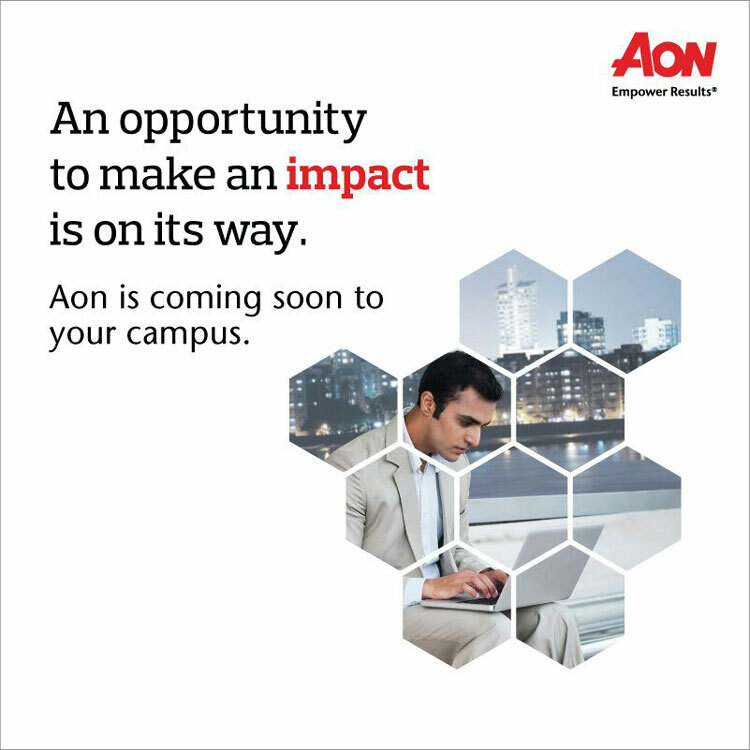 Many reputed national and multinational companies visit our institute for campus recruitment annually because of our high quality research, excellent facilities and talented students. On an average, 75 to 80% of eligible students were placed in last 3 years. The college has established good understanding with top companies like TCS, Infosys, Accenture, Tech Mahindra, Nokia, L&T Ltd. and others. Placement cell also organizes industrial training sessions for the placed students just before they join the respective industry. 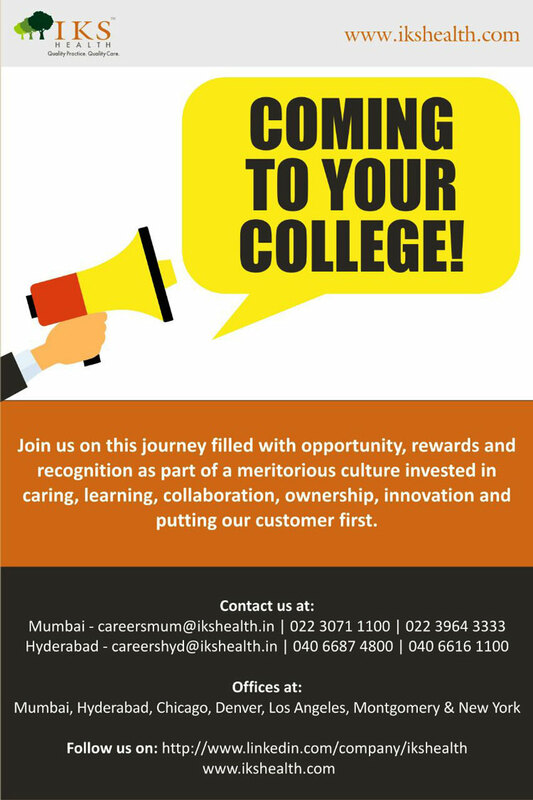 Create awareness among students regarding available career options and help them in identifying their career objectives. Identify suitable potential employers and help them achieve their hiring goals. Act as a bridge between students, alumni and employers. 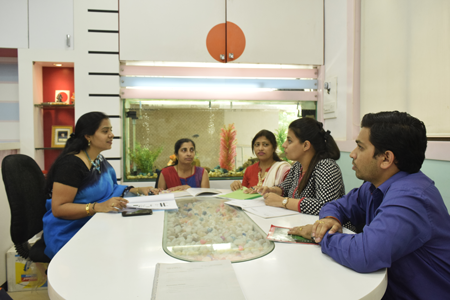 Our teachers conduct training sessions through various committees like Computer Association to train students for Aptitude, Group discussions and various qualifying rounds for placements by mock sessions/simulated exercises.